If you’ve been arrested and/or cited for a DUI (Driving Under the Influence) in North Plains, OR, you need an attorney who specializes in Oregon DUI Laws. Reynolds Defense Firm has over 50 years of combined experience with DUI’s in Oregon, Washington County and North Plains. 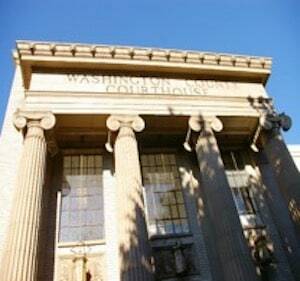 If you received your citation in North Plains, it is likely that your hearing will take place in the Washington County Circuit Courthouse. Please check your citation to verify where you need to be and when to avoid a missed court appearance and additional criminal charges. It’s important to know that DUI, DWI, and DUII laws are different in each state and the process of how a DUI arrest proceeds can vary from jurisdiction to jurisdiction. If you or someone you care about is facing a DUI arrest, you need to talk to an attorney with experience in North Plains and Washington County. Between six attorneys, the Reynolds Defense Firm team has over 50 years of combined experience and appears at the Washington County Courthouse multiple times per week. They have built relationships with the District Attorneys, the Judges and the courthouse staff. This doesn’t mean that we can get under the table deals for you, but it does mean that the people who work in North Plains and Washington County know who we are and know our reputation. They know that if we are standing next to someone arrested for a DUII, that we believe in them and they are a good person which can go a long way to starting a conversation about who you are as a person instead of just your police report. 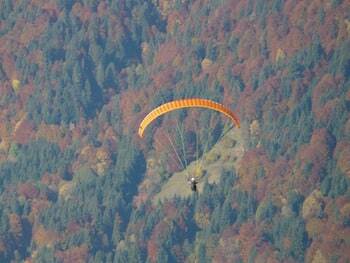 North Plains is a hub for many outdoor activities, such as biking, disc golf, zip-lining and glider and sailplane experiences for flight over the Willamatte Valley. Located approximately 15 miles west of downtown Portland Oregon, North Plains is within a short drive to the much larger cities via Highway 26 along the City's southern boundary. It also provides ready access to the beautiful Oregon coast as well. Nearby cities: Hillsboro, Banks, Cornelius, Forest Grove, and Aloha. 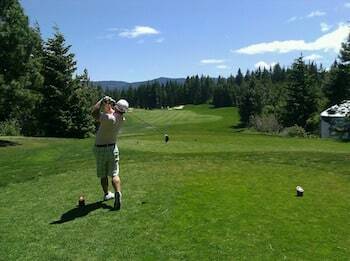 North Plains is also home to the famous Pumpkin Ridge Golf Club, which has ranked among the country’s best courses since debuting in 1992, largely due to design, stunning natural beauty, immaculate conditioning and an array of upscale amenities. In 1996, Pumpkin Ridge captured the national spotlight when Tiger Woods won his unprecedented third consecutive U.S. Amateur Championship on the Witch Hollow course. A host of USGA Championships have followed since, making Pumpkin Ridge a desirable site for world-class competition. Washington County is Oregon’s 2nd largest county and includes the additional cities of Beaverton, Hillsboro, Sherwood, Tigard, and Tualatin. If you are charged with a DUI in North Plains or Washington County, having DUI lawyers with experience defending clients in that area can make a big difference in the outcome of your case. It is never a good idea to face Drunk Driving charges without advice from a great lawyer who specializes in Oregon DUI Laws. A conviction of these charges can significantly impact your job, your family, your Driver’s License and your ability to travel. Penalties can include costly fines, jail time, community service, and mandatory Ignition Interlock Devices (IID). Highlighting the potential consequences is not meant to scare you more than you already are, but rather to make sure that you don’t leave the most important things in your life up to chance. By calling Reynolds Defense Firm right away, our attorneys can help you manage consequences and stay in front and potentially minimize negative consequences that you may be facing. If you or someone you believe in need help with a DUI charge in North Plains or Washington County—please call Reynolds Defense Firm at (503) 223-3422, chat with us live 24/7, or contact us using the online form on this website for your free initial consultation. Our team has over 50 years of combined experience working in the Portland Metro area and can help answer your questions and figure out what the best steps are for you and your family.